The name says it all. Get noticed in this novel belt by Moschino. Moschino Jeans emblazoned on the buckle. 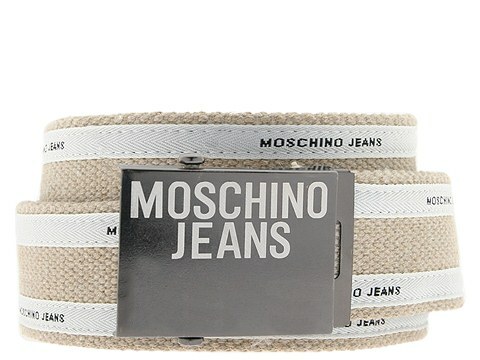 The belt is delightfully double striped with Moschino Jeans noticeably logoed. 1 1/2 width. 44 3/4 length. 100% cotton. Gun metal hardware. Made in Italy.